Barrister Diana Johnson has been selected to replace Kevin McNamara as Labour's candidate for the Hull North constituency. Mr McNamara is to stand down at the next general election after almost 40 years as an MP. The candidature will be officially announced once it has been ratified by the party's ruling council. 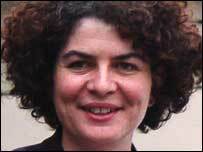 Diana Johnson, who is currently a member of the London Assembly, won through on the third round of voting at a city centre hotel. Ms Johnson was formerly a Cabinet member in the Tower Hamlets Authority and stood as the Labour candidate in Brentwood and Ongar at the last general election.